Grid 2 will get some help from one of the most popular metascoring sites around. Padding your gaming metascore with tasty Achievements and Trophies has already become ingrained in gaming culture, but the process of creating them is still largely a mystery to many. For its upcoming racer Grid 2, Codemasters is laying its cards on the table and hiring outside help - namely the team of bloggers lead by Dan Webb - to come up with the all-important reward criteria. Webb is the editor-in-chief of Xbox 360 Achievements and PS3 Trophies, a pair of websites that catalogue (you guessed it) Trophies and Achievements for every title released for both consoles. In an official press release, Codemasters details the agreement and explains how it will all work out. "Xbox 360 Achievements and PS3 Trophies will work hand-in-hand with the designers at Codemasters' world class racing studio, to create an Achievement and Trophy list that will perfectly compliment the game and play to its strengths," reads the statement. But the process won't be done behind-the-scenes, and Webb and his team will document their work via a series of feature articles and video blogs. 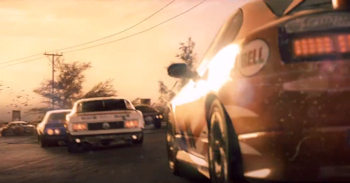 Grid 2 is scheduled to hit stores in Summer 2013, so we expect to see the beginnings of the Achievement creation process before too long.